Prestige Yacht Auction at Antibes Yacht Show. Nigel Watson. I’ll be visiting the Antibes Yacht Show next week where my friend Tim Morley is organising the Prestige Yacht Auction. The auction is taking place on the 20th April in Antibes and Monaco. Tim tells me that they now have thirty-seven yachts and powerboats going under the hammer at this event, and the web site is being updated daily. I understand this is a first-of-its-kind event. With venues in Antibes and Monaco for the actual bidding, the yachts are located all along the coast here. A few are further afield. It would be advisable to see them before the auction. 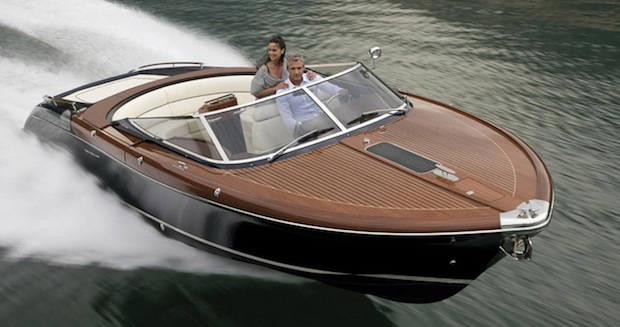 There are 10 Cigarette offshore powerboats for sale, and several beautiful Riva boats, both classic and new. For those with more money to spend, there is the adventurous 78m LONE RANGER or the iconic 78m SS DELPHINE. For something more recent look at the 55m TURQUOISE delivered in 2011. Of particular interest to sailing enthusiasts is the beautiful 30m sailing yacht MARGARET ANN, of Pendennis / Dubois pedigree, with aluminium hull and carbon spars. She is coming to the Cote d’Azur from Palma for the auction, and is absolutely ready for a summer cruising season – the owner is a Monaco resident and planned to use her himself so he has made all the preparations in a refit period. We also like the look of the 30m Heesen MATANTHAR for its apparent quality. There is a 35m Benetti Classic in Florida with 5 cabins that we are told is in excellent condition and has a low estimate of under 4 million DOLLARS, and buyers will be supplied with a full survey at the seller’s expense. Perhaps worth buying to ship it back here to Europe. Tim tells me the reserve prices on the yachts are set to be very low.